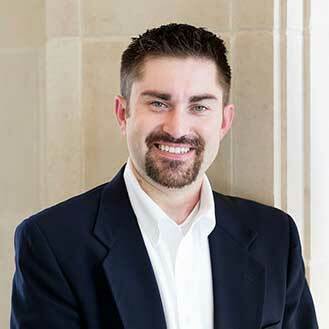 Steven Bonner is the Information Technology Director of Evolve Mortgage Services. He joined our team in 2013 and oversees our support department and technology infrastructure. His professional career includes over 15 years of experience, a majority of which has been spent holding technology management roles in the financial services industry. Steven can attribute much of his professional success to his life-long passion for technology. As a “Jack of All Trades”, his expertise includes system administration, database administration, network topology, application code, and security. Harmonizing all areas of technology, Steven can strategically plan, secure, and optimize, and integrate the services we offer. Prior to joining Evolve, Steven oversaw all technology for Lenders Asset Management Company, a national foreclosure management company based in Littleton, CO. During the mortgage-meltdown, LAMCO provided multiple lending institutions with services being used to mitigate the loss of residential mortgages in default. Steven was directly involved with integrating/exchanging data with clients/vendors, maintaining a work-order system, and a geo-tagged national database of contractors, real estate agents, appraisers, and title companies. Steven received his BA from the University of Colorado at Boulder where he studied economics and specialized in developing econometric forecasting applications. When he wasn’t studying he also worked part time for a private security contractor which provided services to government institutions and several Fortune 500 companies. He currently resides in Denver, CO.